(Dayton, OH - May 16, 2014) -- CQ magazine today announced its 2014 Hall of Fame inductees, adding two members each to the CQ DX and Contest Halls of Fame, as well as eight new members of the CQ Amateur Radio Hall of Fame. Clifford Berry, W9TIJ, who helped usher in the computer age as co-inventor of the Atanasoff-Berry computer (or ABC), the precursor of virtually all electronic computers. Warren Bruene, W5OLY, prolific radio designer and innovator who designed many Collins radios and helped the company introduce single-sideband voice communications. John Huntoon, W1RW, former ARRL General Manager, QST Editor, helped bring about international allocation of the 30-, 17- and 12-meter bands. Mike Koss, W9SU, DXer and DXpeditoner; founder and owner of filter manufacturer ICE (Industrial Communications Engineers); key player in establishment of Indianapolis Motor Speedway Amateur Radio Club, W9IMS; organizer of special event station W87PAX at 1987 Pan American Games in Indianapolis. Nancy Kott, WZ8C, former Editor of WorldRadio and WorldRadio Online and tireless promoter of Morse Code as U.S. coordinator of the FISTS CW Club. Paul Laughton, N6BVH, software designer whose accomplishments include developing Apple's disk operating system and Atari's operating system. Ralph Showers, ex-W3GEU, expert on electronic interference and leader of efforts to set national and international standards for electromagnetic compatibility (EMC). He holds several awards from the American National Standards Institute (ANSI) and the Institute of Electrical and Electronics Engineers (IEEE). Steve Wozniak, ex-WV6VLY and ex-WA6BND, co-founder of Apple Computers. Joe Reisert, W1JR, a DXer and DXpeditioner since the 1950s, Joe has DXCC Mixed, Phone, CW, Digital and QRP with over 300 entities confirmed for each, along with 13-band Worked All States, 13-band Worked All Continents and CQ's USA-CA All Counties award. Joe is also a pioneer in 432-MHz EME (Earth-Moon-Earth) communications, ran his own antenna manufacturing company (Antennaco) and is a prolific writer and public speaker. 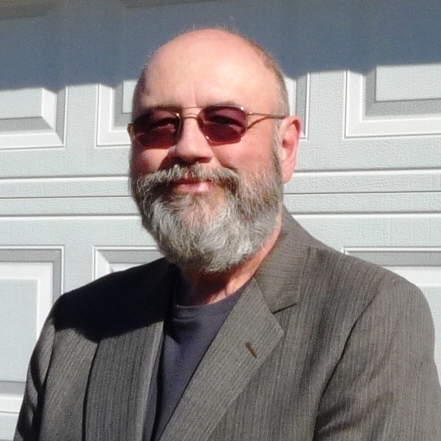 David Collingham, K3LP, a leading DXer and DXpeditioner who is also focused on using amateur radio as an educational tool, at home and around the world. He has equipped a complete station at his hometown elementary school and has taught amateur radio to young people in Iraq, Ethiopia and Rotuma. J. Scott Redd, K0DQ, is already a member of the CQ Amateur Radio Hall of Fame for his service to our nation as an Admiral, Deputy Administrator of the Coalition Provisional Authority in Iraq and the first Director of the National Counterterrorism Center. Scott has always found time within his professional duties for amateur radio and his first love, contesting. He is one of only two people to have won the single-operator category of all of the world's major contests. Ed Muns, W0YK, is a noted RTTY contester with 9 single-op all-band and one multi-two championships and six world records. Ed is also Director of the CQ World Wide RTTY DX and RTTY WPX Contests, and manager of the North American Sprint RTTY Contest. He is also very active in the Northern California Contest Club and is a past club officer and director. Formal inductions to the CQ Contest and DX Halls of Fame were held at the respective Contest and DX Dinners at the Dayton Hamvention.® More detailed descriptions of inductees will appear in the official announcement in the July 2014 issue of CQ magazine. Two major American ham radio manufacturers are now one. RF Concepts, the company that manufactures Alpha power amplifiers, has purchased Ten-Tec, Inc. Both Alpha - based in Longmont, Colorado - and Ten-Tec - headquartered in Sevierville, Tennessee -- will continue to operate independently but under joint management, according a May 9 announcement from RF Concepts Chairman Michael Seedman, AA6DY. Plans call for Alpha's manufacturing operations to move to Sevierville once a new operations facility is found, while engineering, technical and customer support services and many front-office operations will be based in Colorado. Ten-Tec President Jim Wharton, NO4A, and Alpha President Ken Long, N0QO, will remain in charge of their respective divisions. "Last Man Standing," the ABC-TV comedy that stars Tim Allen as an outdoors store marketing manager who's also a ham, has been renewed for a fourth season, with 22 new episodes, according to Co-Executive Producer John Amodeo, NN6JA. 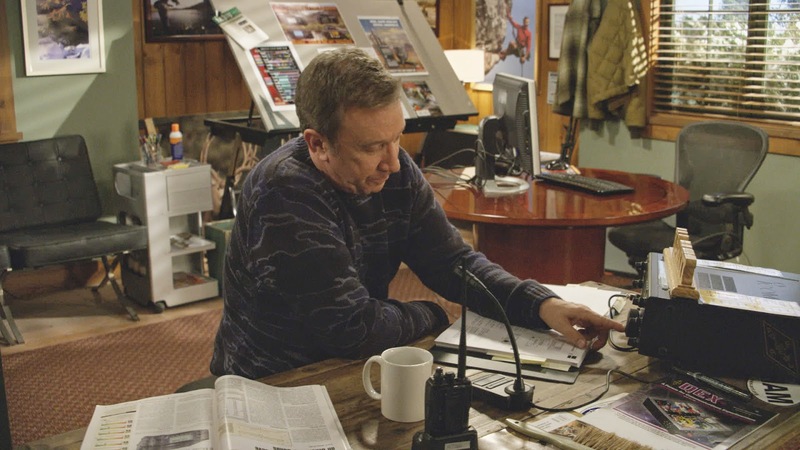 Allen's character, Tim Baxter, has a ham station in his office as well as his basement, and it is often seen in the background. Amateur radio has played a significant role in two episodes so far. "Last Man Standing" airs Friday nights at 8 PM Eastern / 7 PM Central on ABC. CQ International Editor Tom Smerk, AA6TS, has been honored with a President's Volunteer Service Award for 2013. He received the award at a presentation in early May. The President's Volunteer Service Award recognizes Americans who perform a minimum of 100 certified hours of volunteer work in a 12-month period, or more than 4,000 hours of service over a lifetime. The award was created by the President's Council on Service and Civic Participation (established by President George W. Bush) and today, the program is administered by the Corporation for National and Community Service. For more information, see <http://www.presidentialserviceawards.gov>. In a case that is not directly related to amateur radio spectrum, the ARRL has strongly opposed a proposal by the FCC to expand the frequencies on which Globalstar mobile satellite phones may operate, "with the condition that customer handset users in the new allocation accept interference from unlicensed radio services now legally operating there." In a posting on it website, the League said its comments pointed out that this would be the first time that licensed users would not be protected from interference by unlicensed (Part 15 or Part 18) devices with which they shared spectrum. "This is untenable as a precedent," the comments concluded, "and it makes the entirety of the [NPRM] likewise untenable." The comments were filed on IB Docket 13-213 and RM-11-685. 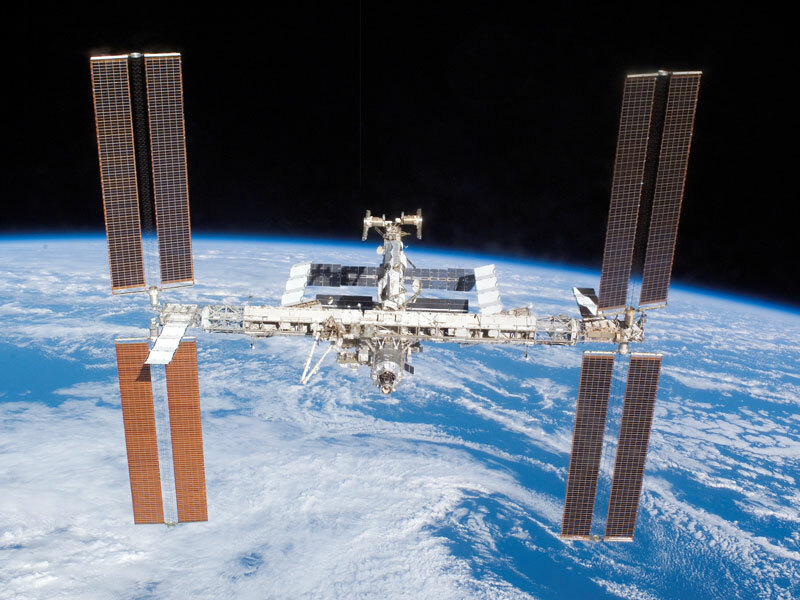 International Space Station Commander Koichi Wakata, KC5ZTA, finished the "commissioning" process for the new digital amateur television transmitter aboard the ISS in mid-April, saying the ability to transmit pictures to school groups during Amateur Radio on the International Space Station (ARISS) contacts "will enhance space conversations between crew members and students." Video of the commissioning transmission maybe viewed on YouTube at <http://youtu.be/EpFzbKvK1pk>. 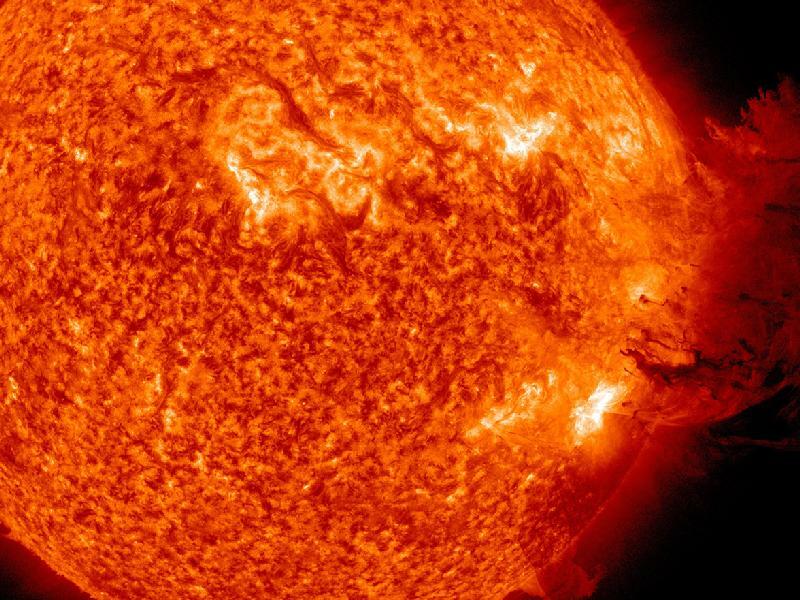 CQ Plus Propagation Editor Carl Luetzelschwab, K9LA, told a webinar in late April that evidence is suggesting that we may be entering a "grand solar minimum," or extended period of low sunspot activity. But he says he is not convinced that we're heading for another "Maunder minimum," a 70-year period of few or no sunspots in the late 17th and early 18th centuries. According to the ARRL Letter, Luetzelschwab told a webinar sponsored by the World Wide Radio Operators Foundation that "It sure looks like something inside the sun changed around the peak of Cycle 23," and that several weak cycles may lie ahead. However, he noted that many factors are involved in forecasting future solar activity and its impact on radio propagation, adding that "we need to gather some really good data" over the next decade to get a better picture of what may lie ahead. Country singer Ronnie Milsap, WB4KCG, has been named one of the newest inductees into the Country Music Association's Country Music Hall of Fame. The ARRL Letter reports that Milsap had 40 number-1 hits and sold more than 35 million albums at the peak of his career in the 1970s and '80s. He has also won six Grammy awards and - little-known fact - once worked as a session musician for Elvis Presley! The AMSAT News Service reports that five CubeSats were successfully launched in mid-April aboard a SpaceX rocket. Among them is KickSat, which carried 104 tiny "Sprite" satellites - each the size of a cracker - and was supposed to deploy them once it achieved orbit. They would be the smallest satellites ever place in orbit. However, a May 5 posting on the ARRL website reports that, due to a technical glitch, it may not be possible for the sprites to be deployed before KickSat re-enters the Earth's atmosphere. Their deployment was to be based on a certain elapsed time from launch, but controllers reported that KickSat's master clock reset after reaching orbit, delaying the automatic deployment. In addition, low battery voltage is keeping controllers from overriding the pre-programmed settings. Check back here for updates. Canada on May 1 opened 472-479 kHz to general amateur use, allowing any of that country's hams to operate on the 630-meter band. The move followed the grant of an experimental license last December to the Marconi Radio Club of Newfoundland. Radio Amateurs of Canada reports that it is a secondary allocation with a maximum power level of 5 watts EIRP. How far can you talk on this band? The South African Radio League reports that on April 13, ZL1BPU in New Zealand (operating as ZL1EE) was heard in Western Australia by VK5ABN/8 (at a distance of 2100 miles) and then by VK6DZ, 3100 miles away. ZL1EE was using WSPR-2 with a 23-foot-high Marconi antenna. Here in the US, several hams have been authorized to use the band under an experimental license, but the ARRL says the FCC has yet to act on its 2012 petition to allow all US hams on 630 meters. Time and frequency station WWV in Fort Collins, Colorado. Responding to an e-mail from an Illinois amateur, the lead electrical engineer at time and frequency standard station WWV briefly returned the station's 25 MHz transmitter to the air in early April. WWV stopped regular transmissions on 25 MHz in 1977, according to the ARRL Letter, and said the surprise reactivation came after Dean Lewis, W9WGV, of Palatine, Illinois, lamented its loss in an e-mail toe WWV's Matt Deutch, N0RGT. Lewis reportedly told Deutch he relied on WWV's signals as propagation beacons and missed having the 25 MHz signal to let him know if 10 meters was open. Deutch responded by firing up the old transmitter for a series of tests, receiving reception reports from as far away as Scotland. No word on whether those tests may be repeated in the future. The amateur radio transponder aboard AO-73, better known as FUNcube, will be active full-time on weekends, according to the AMSAT News Service. Controllers (if available) will switch the satellite to full-time transponder mode during the first suitable pass over the UK each Friday, and then turn it off again either Sunday evening or Monday morning. Meanwhile, the ARRL reports that FUNcube-2 is now scheduled for launch on June 19, aboard the 3-unit UKube-1 spacecraft. Once operational, FUNcube-2 will feature an inverting SSB/CW transponder with a 20-kHz passband. The ham radio station aboard the museum ship Queen Mary was the focus of a recent report on the Voice of America. The report is on the VOA website at <http://bit.ly/1rFR1Pw>. 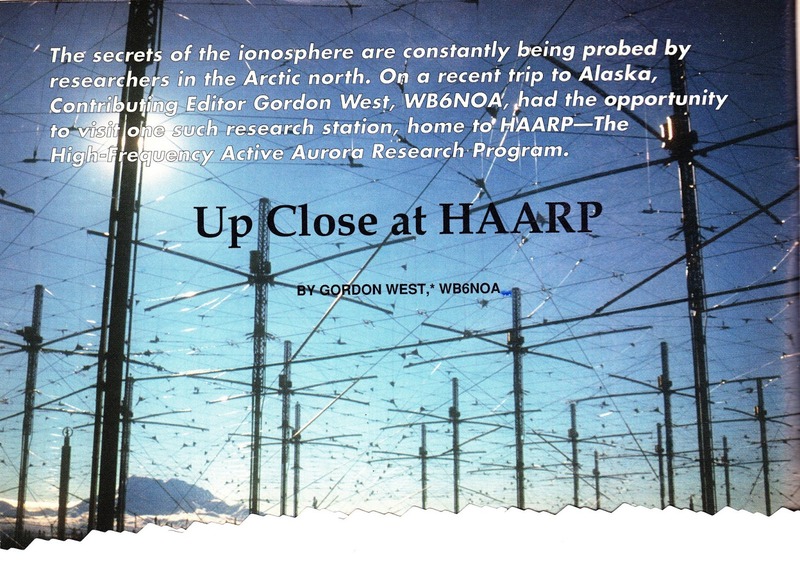 The US government's High Frequency Active Auroral Research Program, or HAARP, facility in Alaska may be decommissioned and torn down later this year, unless the Air Force can find a new contractor to operate the facility. The ARRL Letter, quoting the Alaska Dispatch, says the University of Alaska-Fairbanks is trying to put together a plan to save HAARP, but it currently costs about $5 million a year to run. The Air Force says current research projects there were set to wrap up in May and funds for the facility were not included in the Air Force's budget request for fiscal year 2015.
be home to a new ionospheric research facility. 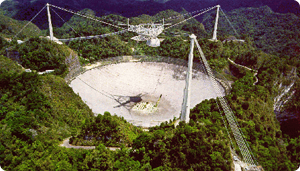 Meanwhile, work is under way at the Arecibo Observatory in Puerto Rico on a new ionospheric research facility that would be similar in some ways to HAARP in Alaska. 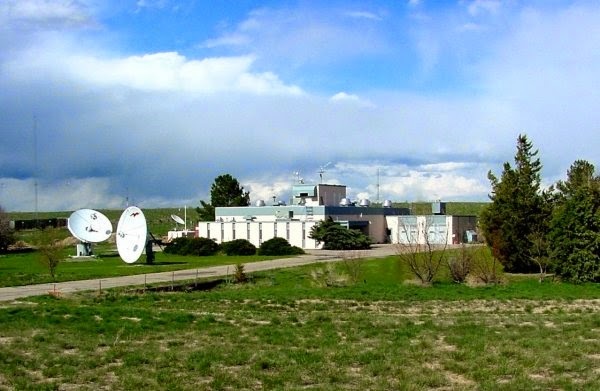 However, the ARRL Letter says the new facility would be smaller in scale and have different research goals, specifically to study interaction between HF radio energy and ionospheric plasma. It is being built by the Electrical Engineering Department of Penn State University.